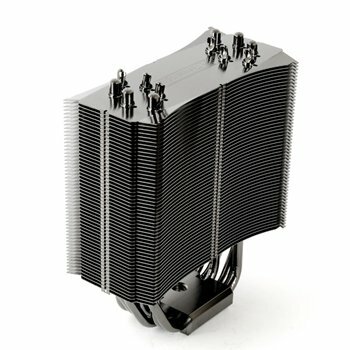 Quiet and powerful cooling due to multiple heat pipes and large aluminum fin area. Proprietary bent winglet design to minimize airflow resistance . 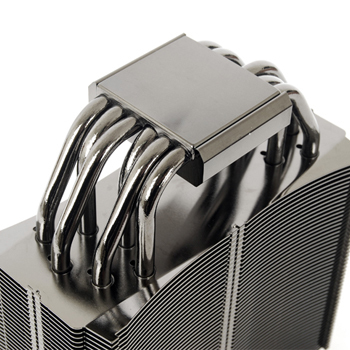 6mm heatpipes Black nickel plated to prevent oxidation maintaining best heat transfer condition. 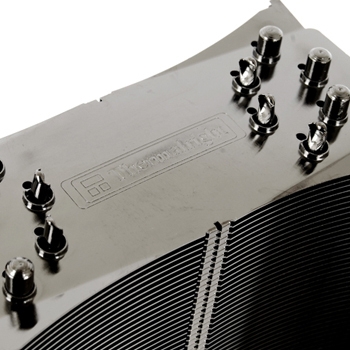 Heat pipes soldered to base and fins for optimum heat transfer. Include both bolt-thru-board retention brackets for Intel and AMD. 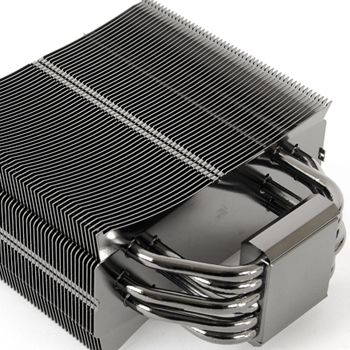 Stack of 48 pieces of aluminum fins, the most over any other heatsinks in the market. 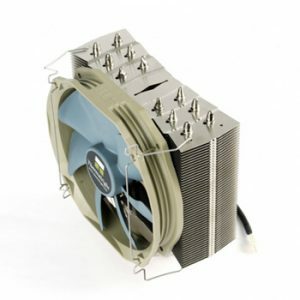 Can be covered entirely by a 120mm fan to absorb all in-coming air flow. Include NEW thermal paste Chill Factor 2. Include 2 sets of fan wire clips for 2 fan installation. Question : What is the difference between Ultra-120 eXtreme and TRUE Black 120? Answer : The main differences between Ultra-120 eXtreme and TRUE Black 120 are in the color and additional accessories. 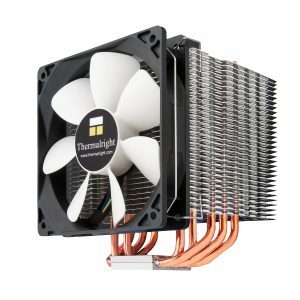 More specifically, TRUE Black 120 includes the new Chill Factor 2, the upgraded version of the original thermal paste, the Chill Factor. It also has an extra set of fan wire clips for a push-pull, two fan installation. Performance is the same for both in single fan mode. Question : I have a nVidia 790i motherboard. 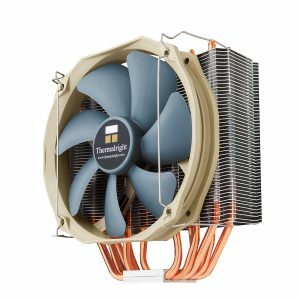 Due to the unusually tall northbridge cooler, I was wondering if TRUE Black 120 can be installed without height interference. 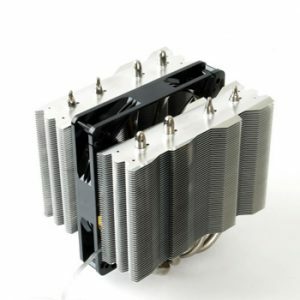 Answer : nVidia 790i’s northbridge stock cooler tends to be taller than others so if you are to install Ultra-120 eXtreme or TRUE Black 120 you will need to rotate the heatsink to have the CPU fan blow toward the northbridge cooler and not toward the exhaust case fan.